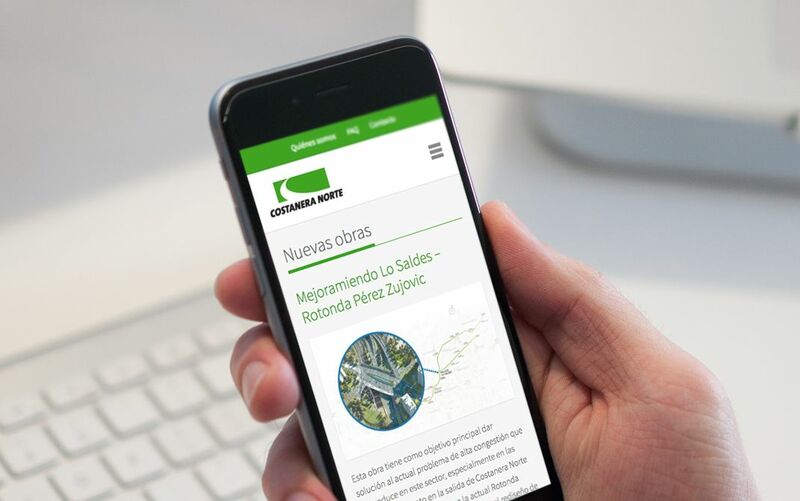 Grupo Costanera is a Chilean company constituted by foreign shareholders – the Italian Atlantia S.p.A. and the Canadian CPP Investment Board – which is dedicated to the operation and maintenance of urban expressways mainly in Santiago, Chile. It is also involved in the construction, maintenance and operation of roads. Grupo Costanera manages five expressway concessions: Costanera Norte, Vespucio Sur,Litoral Central, Autopista Nororiente and AMB expressway, which total 188km. 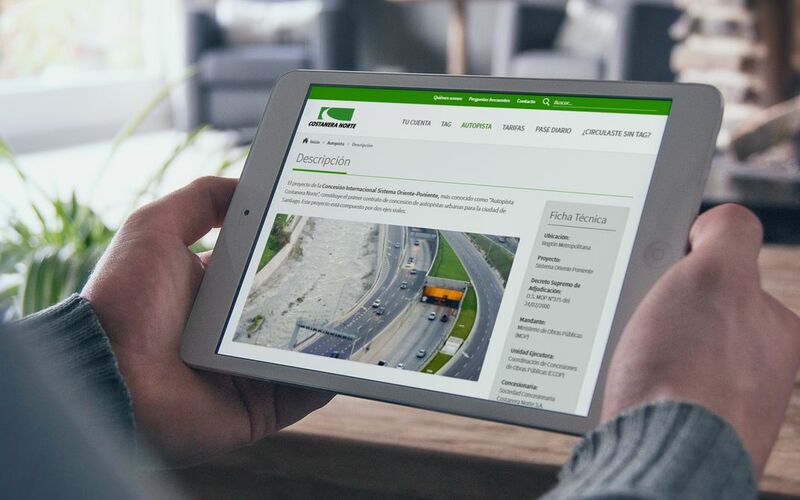 We worked closely with the team at Grupo Costanera to strategically design and develop corporate and service website for the five expressways the group owns an operate. We took this opportunity to redefine the corporate brand identity across the new websites, maintaining a common visual language. 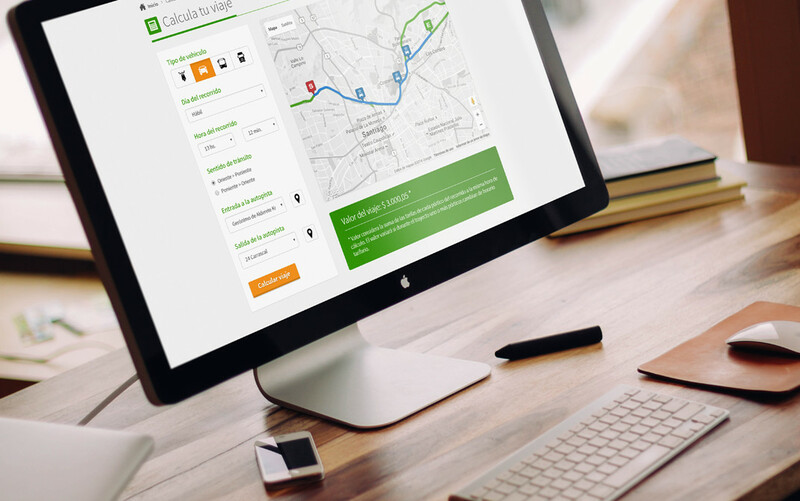 The project started with content strategy, user flows and information architecture. The website were developed in WordPress, integrating many technologies into the CMS. 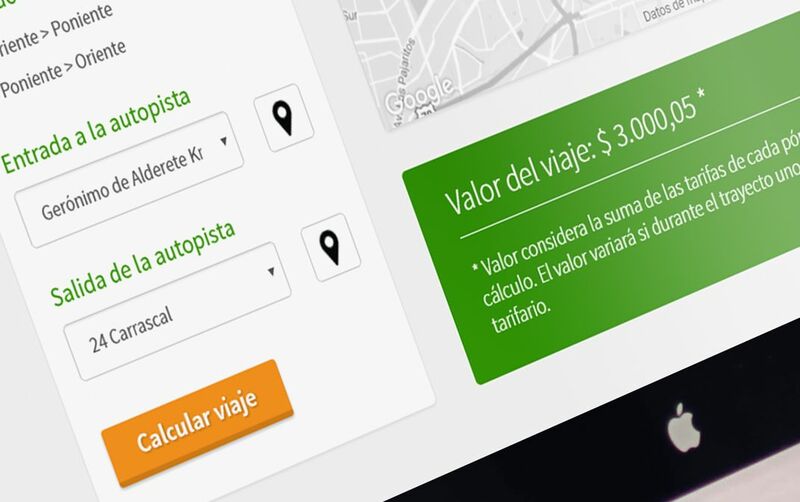 The main goal was to provide users with useful information, interactive maps, trip calculators, and access to a virtual office. Every page was optimized for mobile users, improving navigation and user experience for special and complex content.